How would you rate your experience with Checkers Drive In ? Founded in 1986 by Jim Mattei, Checkers Drive-In is one of America’s largest drive-through restaurants. The company operates both Rally’s and Checker names and began as a Checkers Drive-In located in Mobile, Alabama. The companies merged in 1999. The company was sold in 2014 to a private equity group, Sentinel Capital Partners. Checkers Drive-In is now headquartered in Tampa, Florida. Both Rallys and Checkers offer little or no seating areas but have double drive-throughs on both sides of the location. A few older locations have drive and park service. Checkers was sold to another private equity group, Oak Hill Capital Partners, in 2017 for $525 million. Checkers Drive-In offers standard American food such as hamburgers, hot dogs, French fries, and milkshakes. As of 2014, the company had 784 locations. In 2018, the company announced that they would be expanding into the Pittsburgh area with more than 2 dozen locations planned. Headquarters for Checkers remains in Tampa, Florida. Question 1: What is the phone number for Checkers Drive In? Answer 1: The phone number for Checkers Drive In is (813) 283-7000. Question 2: Who is the CEO of Checkers Drive In? Answer 2: The CEO of Checkers Drive In is Rick Silva. Question 3: Who founded Checkers Drive In? 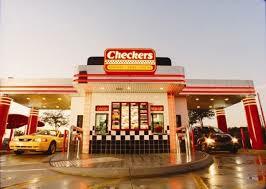 Answer 3: Checkers Drive In was founded by Jim Mattei in 1986. I had the UNFORTUNATE occasion to visit the Checkers on Ten Mile and Southfield Road, in Southfield, Michigan yesterday, March 27, 2018 around 3:13 p.m. I waited in line in the drive-through FOR OVER 32 MINUTES. When I got up to the speaker the girl (who purported to give her name as “Tatiana”) took my order which was 7 of the .69 hamburgers advertised. Tatiana said VERY RUDELY “WE AINT GONNA HONOR THAT HERE…WE NOT GIVING THOSE OUT FOR .69”. I asked why not and she retorted very sarcastically, “BECAUSE WE AINT!”. I asked for a Manager and got no response. I pulled up to the window and the Manager, Barbara, finally appeared after waiting another 6 minutes. Barbara was very nice and seemed embarrassed (yet kind of scared) of Tatiana. She apologized for them not honoring the advertised price and said there was nothing she could do. At this point, there was some HUGE, LOUD commotion behind me. I could hear both the driver and Tatiana yelling at each other. Tatiana was being EXCEPTIONALLY RUDE…telling the driver to go elsewhere she “aint got to serve him…leave…bye!”. Barb seemed even more embarrassed but did nothing! I thanked Barb for her time and left in a hurry. I have never been as frustrated and upset dealing with SUCH a rude person as Tatiana. When I got home, I called another Checkers and they said “ALL CHECKERS HAVE TO HONOR THIS PROMOTION”. I would like an internal investigation and a response at your earliest convenience. This treatment by Tatiana should not be condoned or allowed. I WILL NEVER VISIT THIS PLACE AGAIN IF THIS IS WHAT I CAN EXPECT! A VERY UNSATISFIED FORMER CUSTOMER! I AM HOPING YOU WILL BE ABLE TO PLAY THIS VIDEO. ONE WHERE YOUR EMPLOYEE WIPES UP THE FLOOR WITH A BUN AND CONTINUES TO USE IT ON SOMEONES SANDWICH. I WILL NO LONGER BE A CUSTOMER OF CHECKERS. I HOPE YOU FIND THIS PERSON AND THE ONE FILMING IT AND FIRE THEM BOTH. THE PERSON FILMING IT FOR NOT REPORTING IT TO THE MANAGER. Saw video on face book of one of your stores where a kitchen worker knocked a bun on the floor and another employee wiped the floor with the fallen bun and proceeded to put in on the counter where it was prepared to fill an order. This is one of the most disgusting things I’ve seen in relation to food service. I know this is not how you want your restaurants to be represented and hope that these employees are no longer with you. Would hope that all of your stores have been apprised of this incident . It left me feeling disgusted and apprehensive about ordering fast food in general. My son and I just love the Rally’s in Seymour, Indiana which is 15-20 minutes from where we live in North Vernon, Indiana. We wish you would consider putting a Rally’s in North Vernon. We believe it would do good here because we are a growing town. We are getting a new Hardee’s here for to long (right in front of the JayC Food Store) and there is plenty of grounds to open a Rally’s. Please take this into consideration and thank you for your time. Lakeland, FL 33809 today 06/23/2018. I ordered 2 big bufords with only ketchup, 2 large choc/banana milkshakes, one medium choc milkshake, 2 small cokes, a twist cone, and a chicken sandwich. The ONLY item that was right on the entire order was the chicken sandwich. The burgers came loaded with everything, the choc/banana shakes were only banana, the med choc shake was a small CHOC/BANANA, the 2 small cokes became one large coke and the twist cone was left off the order. When I questioned why I had a large coke and not 2 small ones I was told “Well there was no more room in the drink holder so we just put both small cokes in a large cup”. If i had needed a large coke I would have ordered one I NEEDED two small cokes for two people. When I said the twist cone was missing I was told I didn’t order one I had to show the receipt to convince the person they left it off the order. It seems inconceivable that an order can be screwed up that thoroughly without deliberate effort and I can not foresee us ever frequenting a checkers again after this disaster of an experience. My son was told he could apply for a job at our local store at the age of 15 with a work permit. On his 15th birthday he applied and never heard from anyone so when we went there for lunch we noticed they were giving out fliers with every order stating on the spot interviews for all shifts. My son asked to speak with the manager and she told him to have a seat at 1 of the tables. The manager interviewed him and told him she would be giving him a call, but never did. Every week for four weeks my son called to follow-up on his interview and was told the manager was busy or not in, so he stopped calling. A year goes by and my son reapplies and he’s given the run around again. He then spoke with three of his friends, who also live in the neighborhood, about applying and they all had on the spot interviews and were told the same thing. The boys went to Checker’s and also made calls and none have heard from the manager. I then took my adopted sister there for an on the spot interview and she was told she needed to obtain a work permit. I took my sister home, we printed the work permit, I completed my section as her legal guardian, I gave her her social security card and we returned to the store in less than 15 minutes. She was given a shirt, a packet of how to make sandwiches and was told to return the next evening at 6pm and as she walked towards the car she said they were inside yelling “We got one, we got one”, whatever that meant. I later learned there were relationships among managers and employees and since my sister is a lesbian they were excited to have another “one” on their team. Fast forward another year and my son has applied again, with 3 summer jobs under his belt, an on the spot interview and he hasn’t heard a word from the manager. When I drove him to the store to speak with her she said to come back in a half hour, so he walked next door to check on an application at another establishment and when he returned 17 minutes later he noticed the manager exiting the back door and getting into a red car. I told him maybe it was someone else and I got out of my car to walk with him to the window to ask for the manager and the person who came to the window was not the same female, she said the other one was gone for the day and she wasn’t doing interviews or reviewing applications yet, but they were still handing out “Hiring On the Spot” fliers. The location at 6051 Greenbelt Rd, Berwyn Heights, MD 20740 discriminates and I will be contacting an attorney as well as our local media outlets. I’m not saying females shouldn’t have jobs, but I’m asking what makes one person more qualified than the other, especially if none have experience and they are the same ages. I’m asking if my child can get a summer job with Maryland National Capital Park and Planning Commission, Department of Labor, Licensing, and Regulations and with Department of Social Services making minimum wage, working 8 hour days during the summer, why can’t he obtain a decent part-time job for after-school at an establishment who stated they were hiring and doing on the spot interviews for all shifts? The company is racist. The restaurant located in Roseville, mi. NAACP will be notified & the Cochran law firm. One of the worst experiences at a fast food place ever! Not one person ordering in front of me, no one in the drive through. It took 25 minutes to get my food. They served two people with larger orders before I ever received mine. When asking what happen to my order they were like um… we dont know. So waiting another 15 min to get a fish sandwich and fries, is utterly ridiculous. Not to mention my sister placed her order right after me. When she finally got her food, fries and pies cold. The manager dropped the same food back into the fryer to REHEAT! Will NEVER EAT THERE AGAIN! EVERYONE I COME IN CONTACT WILL BE TOLD THIS INFORMATION. And then when shakes were ordered… vanilla ice cream in a cup. Not a blend or shake to it. And I Dont want a reimbursement of coupons. I would burn them! I want my $3.25 back! I ordered 2 dbl checker burgers with no onion or tomato 2 small fries & 2 shakes. My order was repeated. The burgers had tomato. We had no fries. When I asked the cashier to correct my order he stated “you didn’t ask for fries”. I asked him to reference my receipt. He then brought back one fry & the same 2 burgers that the cook pulled the tomato off of and only partially re-wrapped! (Mind you he didn’t bother to add pickle) when I asked for the 2nd fry he closed the window on me. Eventually he brought the 2 shakes, still no fry and certainly not an apology or acknowledgement that my entire order was wrong and now unsanitary! I asked for his managers name, he responded with “I don’t give a F**k” $ closed the window again. A manager came, I told her I was still missing a fry she took my bag threw another fry in it and handed it back, still no apology or acknowledgement of her employee cursing at me! Her and her employee are standing just inches away from one another so I knew she heard the entire conversation, I decided this was a battle not worth fighting so I asked for her name and drove away with cold food not made the way I ordered and paid for. I have never in my life been treated so rudely or cursed at by a fast food employee. And my 14 yr old son witnessed such ignorant behavior! Where is common courtesy or customer service anymore!!! We patroned the checkers in south Deland at about 1 am after a semi rainy evening. I literally witnessed with my husband the ceiling leaking water. The driver thru attendant has to walk around the leak to avoid getting wet and says that they are going to be remodled soon after I asked if the leaks were for real. This location is a busy cotner and should be attended to quickly… I hope the corporate office takes care of this location soon. I went to the checkers located on Telegraph in Dearborn Heights Mi. 48125 with a coupon for a buy one chicken box get one free. Was told they don’t have a button for that coupon and have no way to ring it up. As a fast food worker 30+ yrs I know they can. So I drove 8 miles there and 8miles back in heavy traffic for nothing. Wasted my time and gas!!!! Lost my business forever. Why send out coupons if customers can’t use them?? ?The next closest is 15 miles away. Maybe you can save on paper cost by not sending out coupons because they can’t be used anyway. We recently went to a new Checkers in Buffalo N.Y. on Niagara Falls Blvd. The food was somewhat good, not as good as we’ve had in the past in Florida but fair. I would like to know why they don’t offer a gluten free menu As well? My daughter has Celiac disease and cannot eat wheat products or anything that contains wheat. The staff were not knowledgable regarding gluten free. I would like to see a gluten free menu added, that way we can all go out for lunch together and enjoy. I was just at your checker store 5598. I had never been to a checkers so I wanted to look at menu. As soon as we pulled up the girl asked can I help you. We decided what we wanted and waited about 5 minutes. We kept saying hello but no one ever came back. We finally went to the window. I told her we waited about 5 minutes. She laughed then said well I asked and you weren’t ready. I gave her the order. I got it right away. Fast service. We decided to eat at the outside table which looked like they were not cleaned at all. So I like to put napkin down for my food. Only 2 napkins for 3 people. We had to get more. So far it wasn’t a number 1 pick. We went to eat my sandwich was cold but our fries were very hot . This is highly not a place I would ever eat again. Service was bad and main food choice was cold. This is Cartersville store 5598, the server was Made line C.
Service really bad on airport Blvd. French fries greasy regrouped burger throw together. The workers there are very unprofessional with no hair net. Hair all on ur food. Want to make sure Checkers Drive In sees your comment or complaint?